The overall objective of the research program of this TS for 2015-2020 is the consolidation of existing research and expertise by innovating and extending the scope of the research activities based on nuclear techniques and methodologies. 2 PhD and 4 MSc and 1 graduated completed theses. The team research has been supported by EC (LIFE, ERA-MIN, Interreg Sudoe and Interreg Mediterranean), FCT, IAEA, and bilateral projects. The team has participated in the organization of 10 conferences and workshops and 5 national training courses. A significant participation in the scientific and technical activities of European Union Technology Platforms and Networks, namely ALLIENCE and IGD NERIS, and in the COST ACTIONS CA16109 and ES1407 has also taken place. During 2017, the team has also prepared and submitted several common projects under calls from EC, FCT, and Horizon 2020. Two contracts were established with private companies. 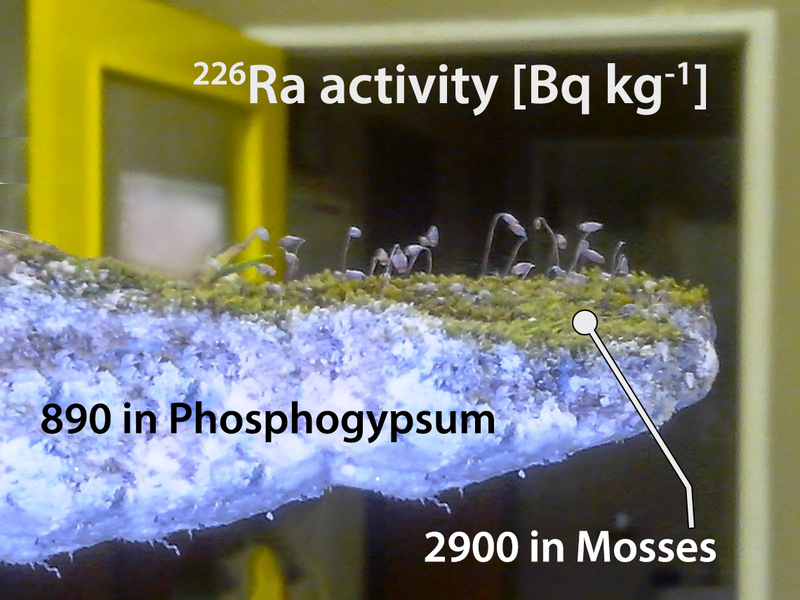 Availability of natural radionuclides in a phosphogypsum (PG) stockpile (Barreiro) was evaluated by analysing the transfer to rooted plants and mosses growing on the PG. Mosses (Bryum sp.) content in 226Ra and 210Pb (dry weight) reached higher concentrations in biomass than in the PG. In Plantago sp., concentrations were less than one order of magnitude lower than in mosses. Only 1.6% of 226Ra in the PG matrix is bioavailable, meaning that it is bounded strongly in a crystalline matrix and just a small amount is in an ion-exchangeable form. Following the EU Roadmap - by 2050, the EU should cut greenhouse gas emissions to 80% below 1990 levels. 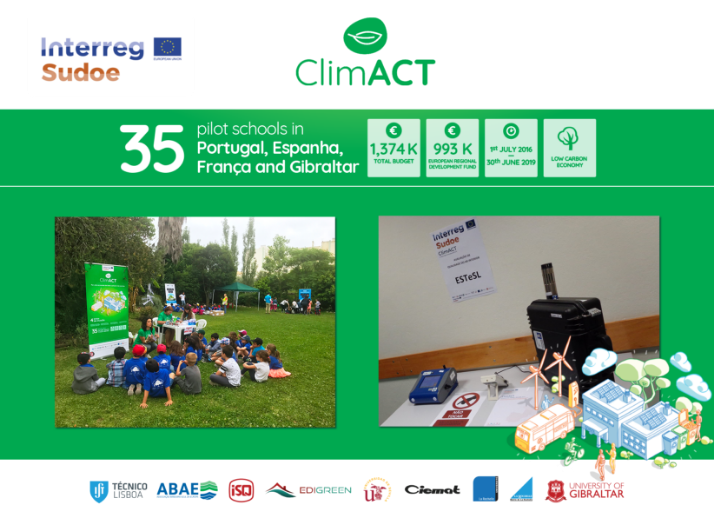 The ongoing project Interreg Sudoe ClimACT coordinated by C2TN, promotes the transition to a Low Carbon-Economy in schools. During 2017 environmental and energy performance was assessed in 39 European schools, from primary until university level. Complementary approaches such as energy efficiency, sustainable transportation, green procurement, resources conservation and behavioural change were designed to support schools managers, energy and environment players and students in the identification of smart solutions for schools for the greenhouse gas emission reduction. ENVIREE project funded by ERA-MIN program (EU, FP7) is focused on a holistic perspective (from environmental systems, LCA, leaching techniques, separation technology to remediation) to recover REE with minimal environmental impact yet in an economically sustainable process. 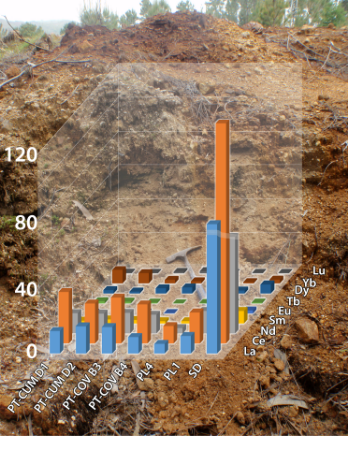 After the identification of the tailings with favourable conditions to contain metals (Covas and Cumieira, Northern Portugal) a more detailed chemical and mineralogical characterization of these heterogeneous materials was done during 2017. Training and dissemination headed by C2TN has been a main achievement of this project through the organization of Workshops and Summer Courses on Rare Earth Elements, recovery and environmental issues. 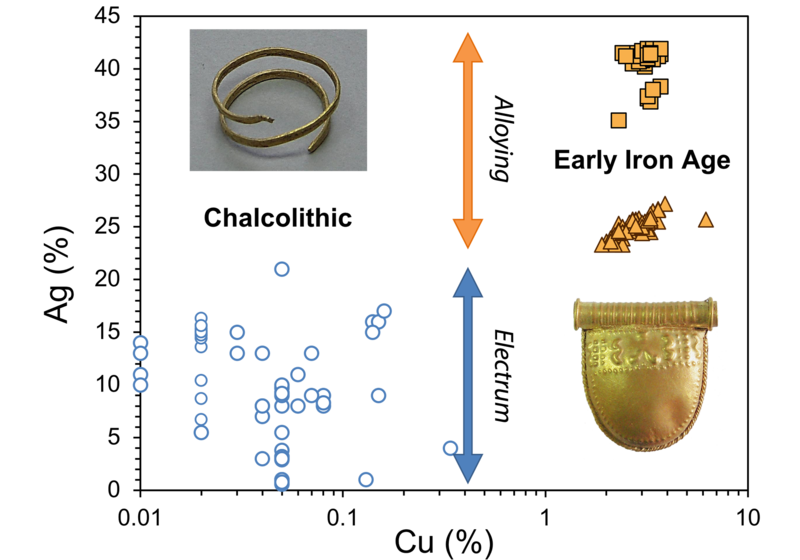 In the Portuguese territory, the complex typologies of gold jewellery of the Early Iron Age (c. 850-400 BC) differ significantly from the simple types of the Chalcolithic (c. 3000-2000 BC). This typological evolution was found to be related with two technological developments: the use of less expensive and more workable resources by alloying Au with Ag (up to 42%) and/or Cu (up to 6%), and the use of autogenous welding and copper-rich solder alloys that allowed the manufacture of intricate shapes by joining different components and filigree decorations.